Uh, I think this will be fun! So, ShindanMaker. What is ShindanMaker, you may or may not ask? From the website: Shindanmaker is a joke web service which diagnoses you by your inputting your name. Okay, so! There's this one particular Shindan I really like, and it basically gives you a ☆High School Boy Persona☆. All you need to do is put in your user name. Or your nickname, that's fine too. I just think it'll be neat to see all the different characters it pops out for us. 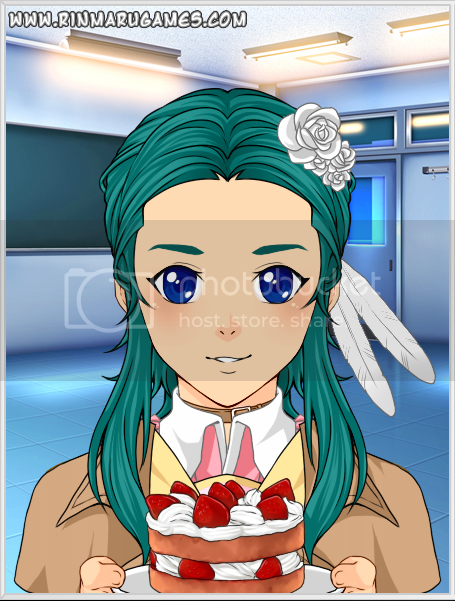 soft: Class 2-A, 176cm, Art club. Favorite subject is Music. Straight, very short mustard-colored hair. Eyes are yellow-green. "I want to be reborn as a bird." W-Whoa...I apparently have the voice of Xemnas, which is just...just fantastic. 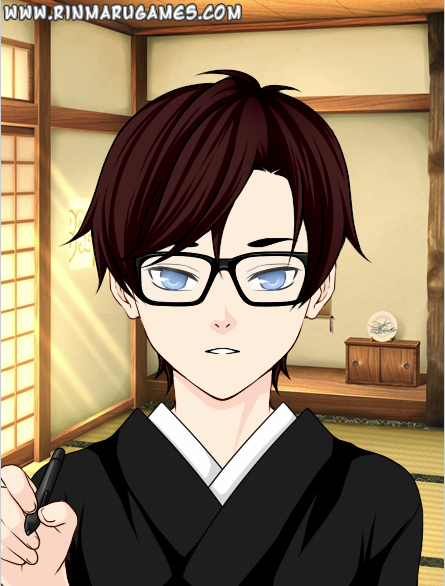 And here's how I pictured him, made with that fun anime avatar creator because I can't draw. 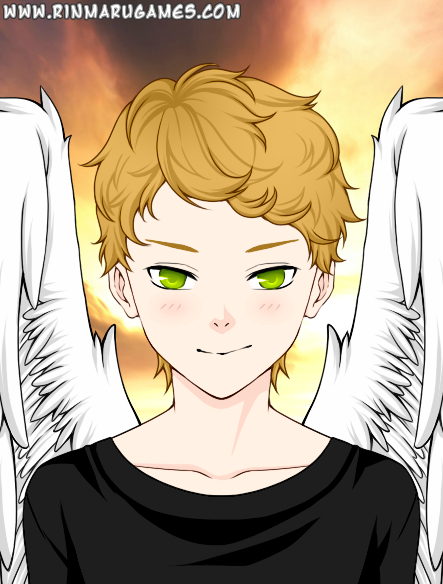 I-I gave him wings, since y'know...he'd like to be reincarnated as a bird. :') I'm laughing; he has such an imposing voice for a 2nd year high school student, and it doesn't match his cute face at all pffft. Looks can be deceiving, though. ※ If you need any help with the shoddy google translation or if you're confused with any part of your result, I'll gladly try to help! He's currently distressed because he just got a text saying his sister was coming home this evening. My seiyuu voices Hyuuga from 07 Ghost so it turned out quite fitting, haha. 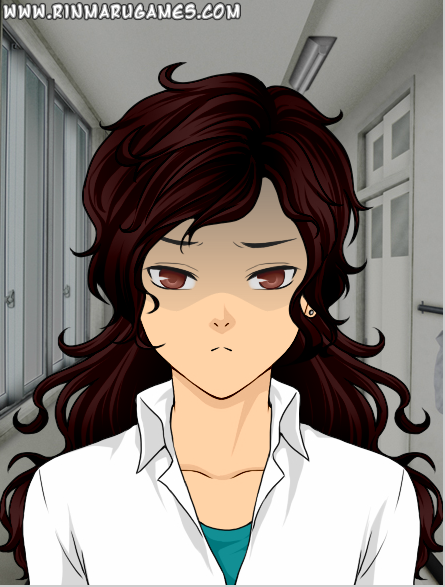 Also, not sure what 'kakiiro' is but google tells me it's a reddish-brown so that's what I went with. Huh, that's weird. When I google '柿色 (kakiiro)' it gives me more of an orange color, but pfft like that matters; the reddish-brown really suits him. I love how you designed him and I can't get over that fearful expression...awww. (;‿;) His hair is beautiful...and I see that earring there. Ahhh, love it! Hahahaaa, I know what you mean about running through all kinds of translation engines. Google was just the first that popped into my head, but yeah...it can be tricky. He looks so cute!!! Ahhh, and I just watched an episode with freakin' Hojo the other day! I think it suits this cute looking guy somehow...Ueda has such a youthful sounding voice. Is this too much for high schooler? I'm trying to show the motherly side, but end up really into it. 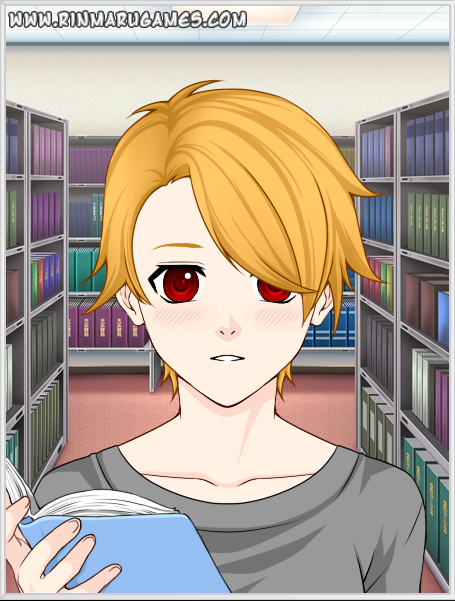 I just wanna say that everyone in this thread is SUPER CUTE as anime boys! Could have been way worse. 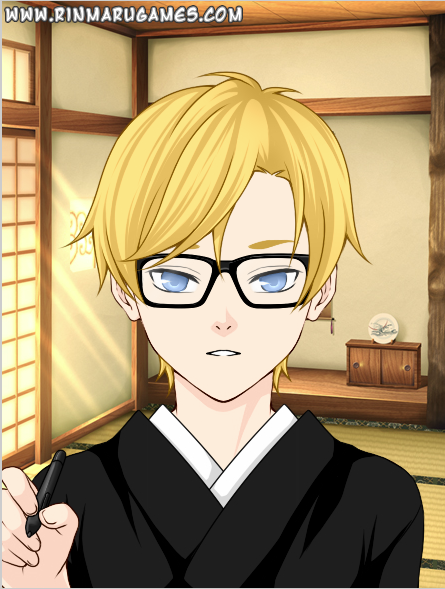 Since I’m not sure if the hair color is meant to be brown or blonde, I did both for now. If someone can clarify this, please feel free to do so. Last edited by Tenka on Sat Apr 02, 2016 11:02 am, edited 4 times in total.